This images come from a collection of old magazines that date from the late 40's/early 1950's. 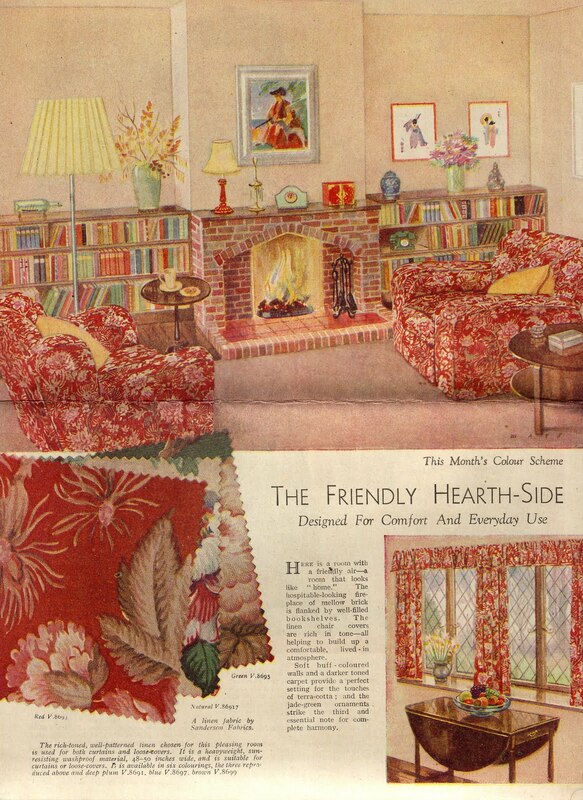 It is interesting to see the comparison of the cosy pre - war styles and the more modern ideas that were emerging in the 1950's. 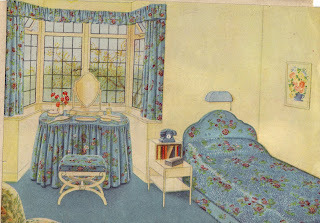 Below -"A simple Bedroom as pretty as a garden!" 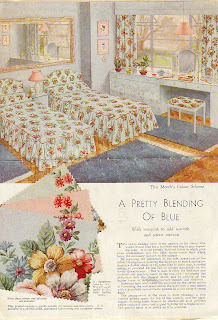 - using Rosebank "Summer Sprays" fabric. 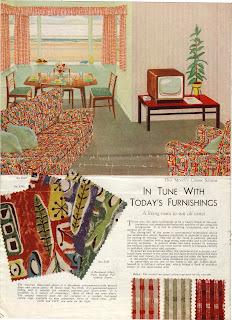 above Rosebank Fabric - "In tune with today's furnishings". This has a lot more of a modern feel to it. Sanderson fabric is used in this scheme which has both elements of the traditional, but with some less fussy elements. 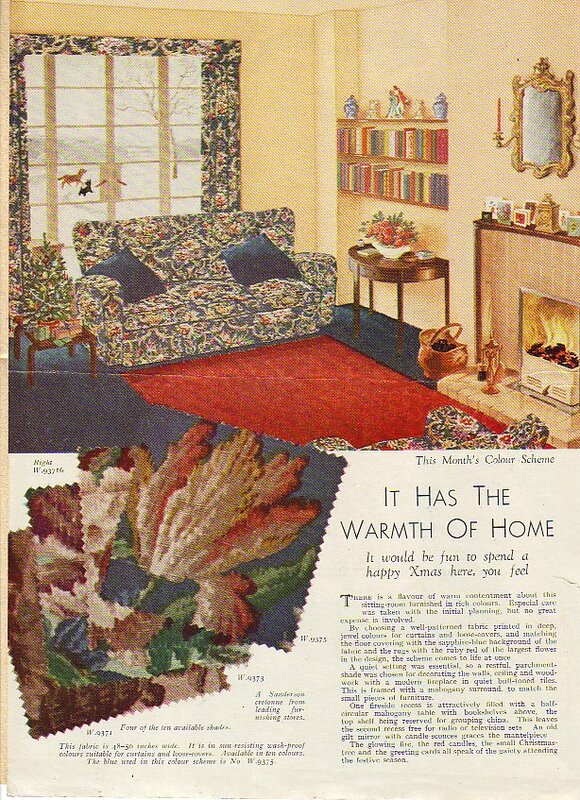 The rest of the magazines include some wonderful knitting patterns and sewing projects. I will be bringing these to the London Antique Textile Fair on Sunday the 2nd October 2011 which is being held at Chelsea Old Town Hall SW3 5EE. Those interiors are lovely, even by today's standards. 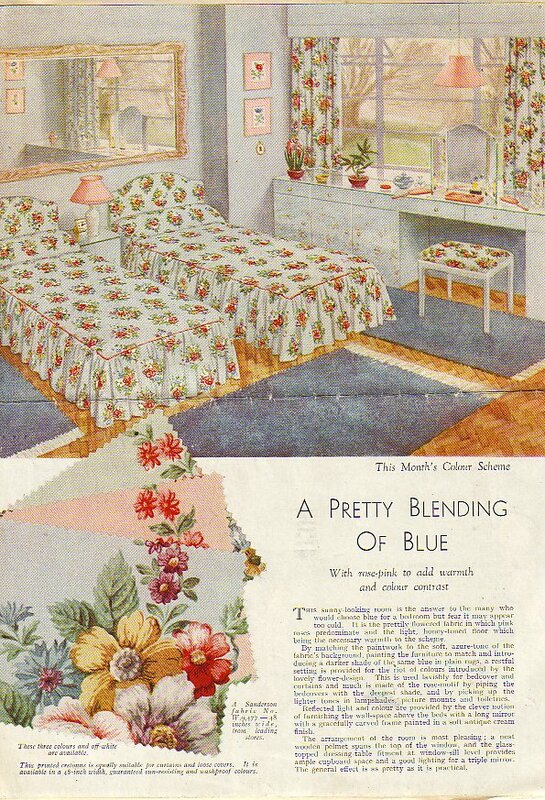 I've always wanted to have a house big enough to have a spare bedroom, and furnish it just like the magazine picture of the two twin beds...for some reason that picture just sums up "good old fashioned" doesn't it? 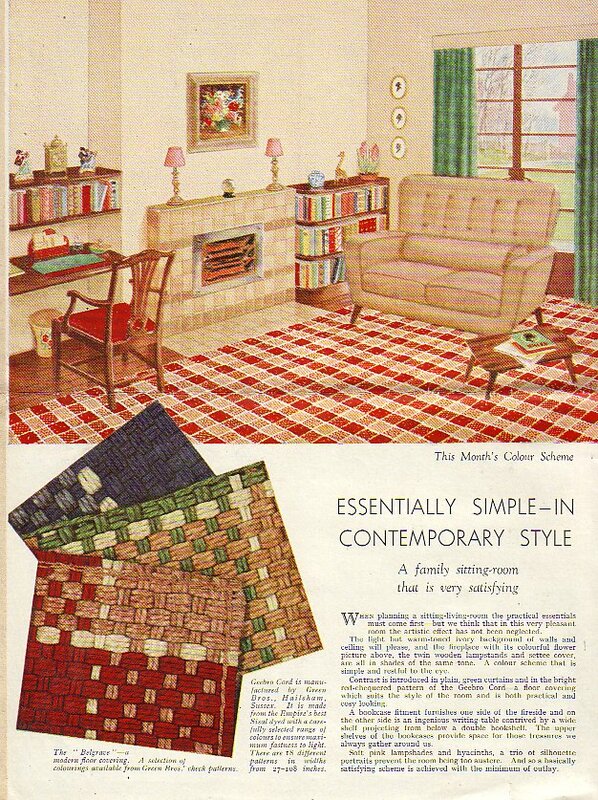 Those rooms wouldn't look out of place in a contemporary interiors magazine, especially the one with the 50s Ernest Race style sofa.